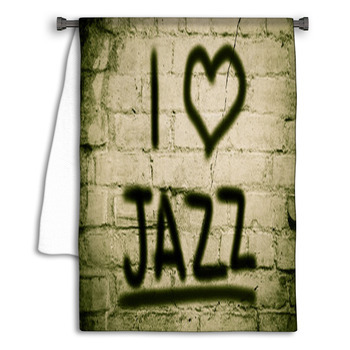 Celebrate your love of cool jazz into your home with our amazing jazz bathroom decor. 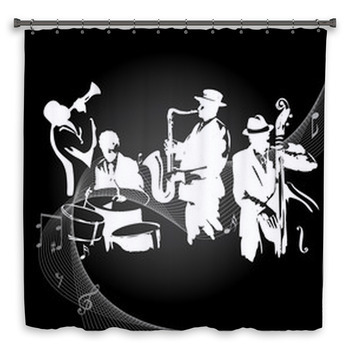 Our shower curtains, bath towels, hand towels, and more are a must for any jazz aficionado or musician. Whether you love singing skat or listening to a mellow sax, we have gorgeous bath accessories to fit your personality and home style. The old school jazz singers belted out music with a huge silver microphone. 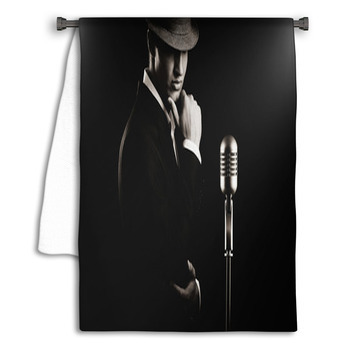 Enjoy bath towels featuring a jazz them and these icon mics. 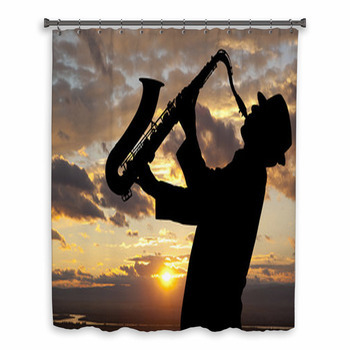 Or choose one of our hundreds of saxophone shower curtains in a wide array of colors and styles. 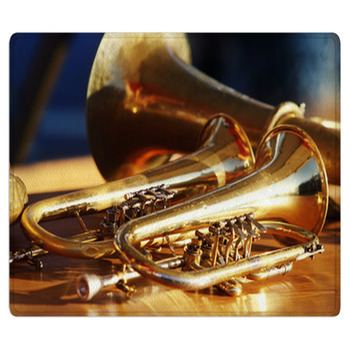 Maybe you love the sound of a trumpet or the beat of the drums in jazz? 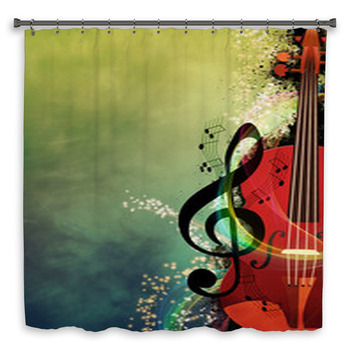 We have stunning hand towels and bath accessories that will lift your soul with cool music. 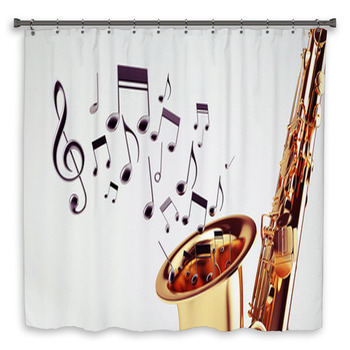 Even blazing rhythm guitars and elegant keyboards can be the centerpiece in your jazz-themed powder room. 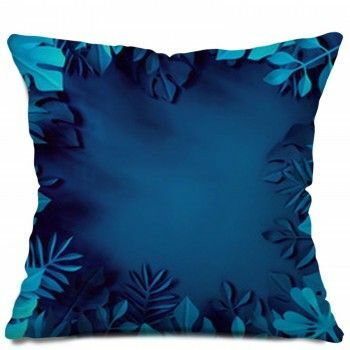 If you are a fan of the Jazz Age, we have stunning designs that will coordinate well with a home decorated in vintage style. 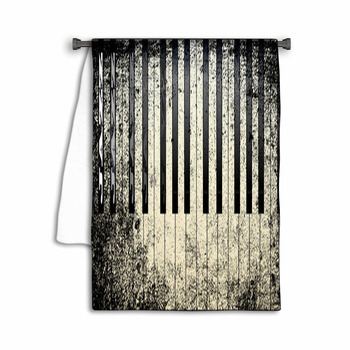 With sepia tones, antique instruments, and deco fonts, you'll find gorgeous shower curtains and more that will look stunning. 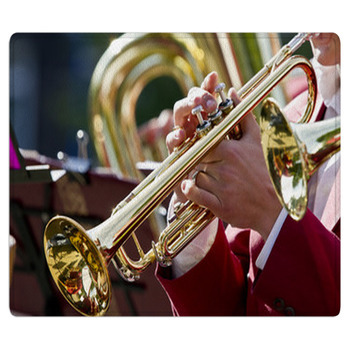 We have the modern jazz themes of today, too, with modern instruments and todays color palette. 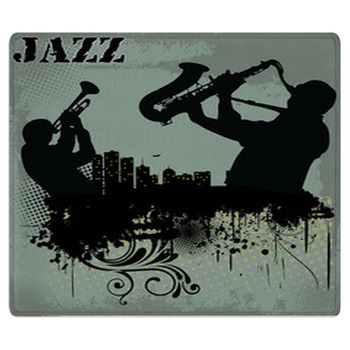 If you are looking for a great jazz-themed bath mat to match the rest of your decor, consider one of our carpet rugs. 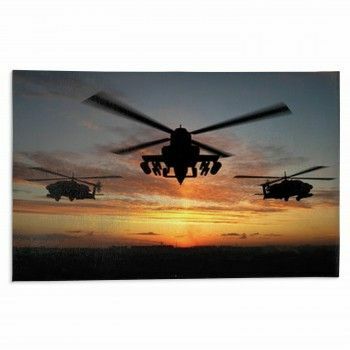 These smaller area rugs are great for the bathroom. 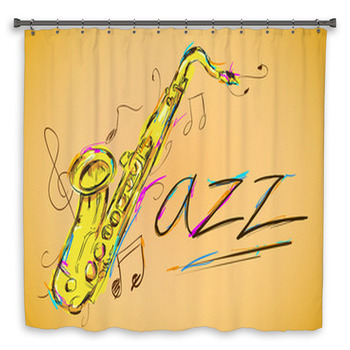 Be sure to check out our other jazz-themed home accessories, too. 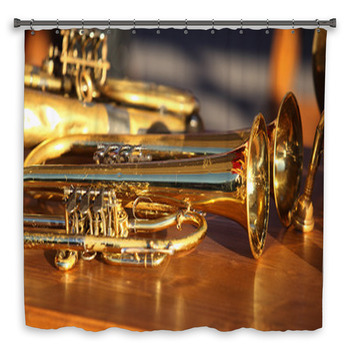 You'll find coordinating pillows, window curtains, bedding, wall murals, rugs, blankets, wall art, and more to make your home jazz central!.